First off, I need a Bucket Fund nomination for May! 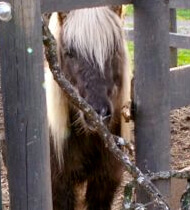 The tiny foal I had ready for urgent care, passed away last week and I have not found a replacement. 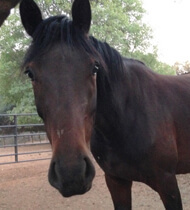 If you know of any equine in URGENT/DIRE need, please email me the details and contact information. 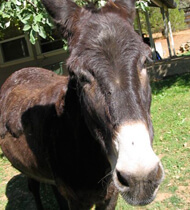 We cannot give funds to a private party – only established rescues, vets and feed stores. 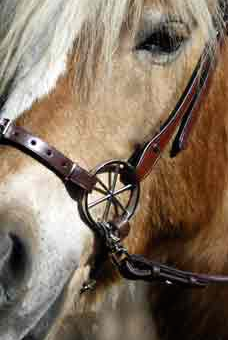 ALSO, we have one black LG bridle available! 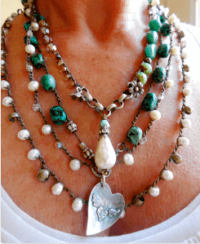 Click here to purchase for $125! I was sent this article for new horse owners and thought it was good to get the discussion started. I found each headline to be something to definitely consider as a new owner, but it would take much more discussion to really understand. So, maybe one thing missing here is to consult a trusted equestrian friend or two to help with novice horse ownership. Having said that, owning a horse is a process. And, it is important to also know that it is an investment for your soul. You might never see that money again. But, you should be happier, if you consider the following article and all that it implies. We were all novice horse owners once. Don’t make the mistakes we’ve all made, if you can help it. Think about these things and go forward with intelligent gusto! The only gray hair you should potentially get from the buying process should be from a gray horse, shedding fuzzy flecks of love that stick to everything you own. Not your own hair! Before you start looking at what’s for sale, know your budget. Don’t fall into a pit of debt, an ambush you have created for yourself after becoming an owner. 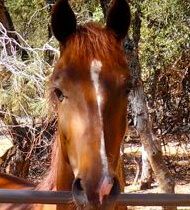 A free horse is never free and the best way to prevent financial chaos, especially the first year of ownership, is to plan and sketch out your horse-owning-budget. It is unfair to the horse (and the people around you) to buy it, then realize you cannot afford it, and wish it a sweet farewell shortly afterward. Add up the costs it will take just to buy the horse of your dreams, and then the cost of owning as described below. Check, then double check again that your income can afford it, along with your own costs of living, before moving forward. If not, look at other options such as leasing or co-owning a horse. If you are really interested in competing and wish to do it often, it is best to find a trainer in your area who specializes in that type of training, and start building a good working relationship with him or her immediately. Most likely you will all be together a lot, maybe even boarding at the trainer’s facility. Trainers have a network of horsey connections and are a great resource to use when looking for a horse. Sometimes trainers will take a 10-15% “finders fee” for helping you to find and purchase the horse. This option should be determined at the beginning of the hunt, so there are no complications or misunderstandings. Trainers also make great companions when you are going out to look at and try horses. Find out how much they want for their time on the road with you. The distance/ number of hours it takes usually determines how much they charge for their service. If the horse is for sale nearby, the trainer may charge anywhere from $50- S75 for about two to three hours of their time. If you are not interested in working with a trainer, at least take an interested friend, and or critic with you. Have them record the experience with a smartphone or video camera so you can watch the experience later. Many people make the mistake of falling for the first horse they check out, their mind over-rationalizing the good things and saying to themselves, “I like him a lot! He’s great!” forgetting to process the negative, even dangerous things wrong from the get go. 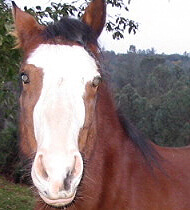 A skeptical or experienced horse buying friend or family member may be the only yield sign or half halt you need as you scan potential advertisements, reminding you of exactly what you need versus what is being shown to you, saving you precious time and money in your quest to buy a horse. Whether you bring a trainer, friend or family member along, calculate your cost of gas there and back and include a lunch or snack break if it is going to be a longer trip. Hungry trainers are always dangerous to transport. 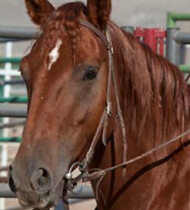 Endoscopic tests, drug testing, bone scans, ultrasounds, and thermography scans are all additional ways to learn more about the horse for sale but with significant investment from the interested buyer. Generally these are only used on high-performance and competition horses or if the veterinarian highly recommends them after his or hers’ basic pre-purchase exam. Expect the pre-purchase exam costs to be no less than $200. $200-$300 should cover a thorough, basic exam, with lots of scribbled notes and numbers written down by the vet throughout the exam. Many times it is printed very neatly and sent to you shortly after the exam. If the horse didn’t “pass the test” for whatever reason in your mind, and you decide not to purchase it, swallow the money you spent on the pre-purchase exam and quickly pat yourself on the back for not buying the horse. Keep from feeling pressured or obligated to buy a horse just because you invested in a vet check, no matter how much money you think you’ve “lost”. It is far better in the long run to keep your search going then purchasing something not completely suitable to your needs. Luckily, the bill of sale is free. Sometimes people write their own, but it is more common to print a standard bill of sale from an online source. 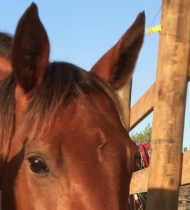 When you do find a horse you feel 100% confident in buying, print 3 copies (one for you, one for the owner of the horse and one to keep in the vehicle you transport the horse in), and start preparing a folder for the day you pick up the new member of the family. This is also the time to start thinking about equine insurance policies for your new bundle of joy if you have extra money in your budget to invest in equine mortality or medical insurance. Tidyforms is a great place to find examples online. 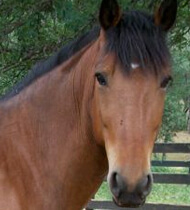 Click here for a equine bill of sale sample. If you have not taken the “plunge” yet and bought a dependable truck and loyal trailer yet to complete your equestrian “lifestyle”, you need to figure out how to bring your new purchase home. If you are lucky, the horse is local and the current owner is able to haul the horse to you, free of charge. If not, reaching out to fellow trailer-owning friends or commercial haulers is your next best bet. If you are lucky, the going “minimum” rate is around $.75-S1 per mile. Depending on where you live it may start as low as $2 per mile. Factors include how many other horses are in the trailer, who is shipping the horse and what the current price of gas is. Contact reputable haulers in your area and request a quote and do your research to find one that works best for you. Hauling a horse adds wear and tear to both the truck and the trailer being used. If a friend is helping you, be considerate of both their time and their personal property being used and offer to pay them comparably. For example a trip from Green Bay to Chicago is 210 miles. Round-trip it is 420 miles. If you have a newer truck and your own trailer, the cost of gas will cost you between $60 and $80 for the entire trip (again depending on the price of gas, gas mileage, etc). If you are unable to haul the horse yourself, a quote from a professional hauler may range between $350 and $600 for a 420 mile trip. If you want to save money and have a bit of time and patience before taking physical possession of the horse, talk to the current owners or barn owner and see when the next time a veterinarian is scheduled to come to the barn. If the vet is going to be there for other services, the farm call fee may be dropped or divided among a number of people, greatly reducing the high farm call cost. Request a health certificate on the day of the vet check. If you think the horse might be coming home with you in the next 30 days (meaning you are very interested in purchasing him) request a health certificate for after the end of the exam. The veterinarian will most likely charge you only for the cost of the certificate, saving you both time and money. Keep in mind this is only adding up the cost of checking out one horse. Multiply your costs of checking out one horse and any additional pre-purchase exams if you are having a hard time deciding between horses. 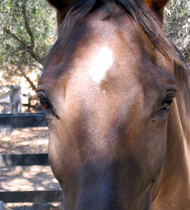 After considering the expenses of actually buying a horse, you will need to consider the costs of actually owning one. Again the circumstances vary from one owner to the next, so do your research and find out prices specific to your area, with each of these variables in mind. Are you lucky enough to keep your horse at home with you? Or will you be boarding at a boarding barn, or at a friend’s farm? 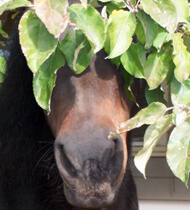 Do you want to keep your horse indoors in a stall or outdoors? Will it need special care or facilities? Do you need a riding area, particularly an indoor riding arena for the winter? All variables will determine how much you are able spend on “rent.” Your location is going to greatly affect how much you will spend keeping your horse somewhere. A boarding facility in Connecticut is (probably, unanimously) going to cost a lot more than a boarding barn in Montana. If you are interested in taking lessons or training for competitions, factor in the price of keeping the horse at the facility where you want to train, versus the costs and your time of trailering there each session. In some cases, your trainer or instructor may be allowed to travel to you. This is dependent on liability, insurance and trainer-barn contracts, and should be set up with prior approval. 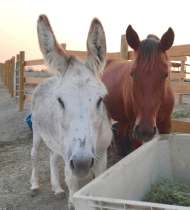 The least expensive type of boarding with the most amount of work for yourself is self or pasture boarding (or if you are fortunate and can have a simple pasture and shelter to keep your horse at home). Think of it as a land-lease agreement. 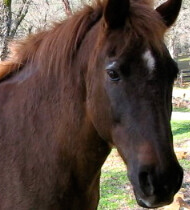 You are the sole responsible person for your horse’s health and diet. Self-board barn owners are very hands-off, keeping the cost of keeping your horse there very inexpensive. Responsibilities that come along with self or pasture boarding include purchasing and storing hay and feed, organizing vet and farrier appointments, keeping an eye on water tank levels and light pasture or facility maintenance. If this type of boarding is located right “around the corner” from where you live or on the way to/ from where you work, you may not find it inconvenient to feed and check your horse one to two times daily. If you have to travel out of your way to go there, calculate how much money and time you will need to invest each day in maintenance and feeding, and make sure you have enough time after that to enjoy your horse. If you are juggling that with a full-time job and family, think about if the money saved doing the “grunt” work is really worth it. Full board, the most common type of boarding is quite the opposite to self board. Feed, bedding and care should be included in the basic price. Additional services may cost extra, such as bringing the horse to turnout, blanketing and holding the horse for the farrier or veterinarian. For busy, full-time working horse owners, this is the hassle free way of owning a horse. Price of full board greatly varies and is dependent on the quality of the facilities (arenas, round pens, pastures, trail access etc.) and its location. If you have property or are interested in keeping your horse in a self or pasture board situation, it is good to sit down and calculate just how much money it will cost you feeding your horse every month. A rough estimate to how much hay a horse eats is 2% for every 1000 pounds. If it weighs 1000 pounds, 20 pounds of hay per day is the base amount to begin with. If the horse has access to grass and is able to graze, this may be too much hay, if the horse is using more calories to stay warm in the winter for example, 20 pounds a day may not be enough. So if an average bale of quality hay weighs 60 pounds (which it may not, weigh yourself holding a bale to always know how much hay is in the bales you buy) and you purchased the bales at $4/bale, you will be spending $4 every three days on a horse that weighs 1000lbs. This calculation brings you to about $9 per week, or $36 a month for the cost of hay. Keep in mind transportation and storage costs for hay have not been calculated. The amount of grain required also varies. Simple factors to keep in mind when determining how much grain to feed include the horse’s age, weight, condition and workload. 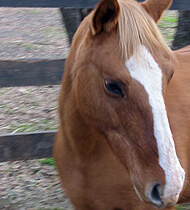 A performance horse will need to consume far more grain than one used for light, recreational riding. Talk to your local feed stores about the different grain options available and have them help you calculate rough estimates on how much you might spend per day, week and month on grain. For example, if you take the same 1000 pound horse eating 20 pounds of hay per day that is only used for light riding, 2 pounds of grain per day is all the horse might need. Maybe none at all! A 50 pound bag of grain can cost anywhere from $10 to $20. Using an average of $15 for a bag of grain, the owner will go through a bag of grain every 25 days (50/2lbs=25). To calculate more specifically weekly or monthly costs, take the price of the bag of grain and divide it by the number of pounds to get the price of grain per pound. Take the price per pound and multiply it by how many pounds the horse should receive to find out how much you are spending daily on grain. Then multiply this by the number of days in the month to see how much you spend per month. Please note that this calculation can also be used when determining mineral or nutritional supplement costs. Normally you should not “over invest”, and spend a lot of money on supplements. Try and see how the horse’s health is, and then discuss any potential nutritional deficiencies with a veterinarian, farrier or professional. The price you pay for your horse’s health care is an inevitable cost of being a good owner. Standard veterinarian expenses include annual vaccinations and dental checkups, feed supplements, and dewormer. All will vary in price from region to region, and if you can avoid paying a full “farm vet call” in any way, you will be able to reduce your veterinarian costs every time you have a vet out. New studies suggest a 2-4x/year deworming program is best suited for managing a horse’s “wormy situation.” Too often (every two months) will create super drug resistant worms. 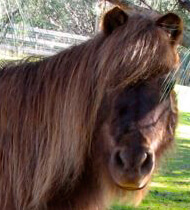 The best way to save money on worm infestations is to maintain a stall and pasture free of decomposing “horse apples”. Include a “buffer” and calculate another $200 in additional veterinarian services/ feed supplements. You can never have too much money saved when an emergency vet call is needed. $200 will at least cover a basic farm call and services. Equally crucial to horse ownership 101 is selecting a reliable farrier. Different types of riding and equine activities shape how much money you will spend each year on your horse’s feet. Some only require a monthly or every other month manicure (or would it be a pedicure?). Others will need ultra custom fancy shoes, “Pradas” in terms of horseshoes and will need a farrier every four to six weeks. For two, very vague and general options, we can compare the approximate annual prices to a horse that goes barefoot, natural or otherwise known as without shoes, compared to a one that has a standard set of four horseshoes. *This is an example of reusing the shoes, setting new shoes on the horse every other time he/she see’s a farrier (money saver!). If the farrier suggests new shoes are needed each time for specific reasons, your costs will remain the same every 6 weeks. Factors include how much the horse is worked (wears through the shoes), its footing conditions, and the state/health of the horse’s feet. If you have ever been to a horse expo or a well loved local tack store, you know that the possibilities of things to buy are unfathomably endless. Local “tack swaps”, second hand sales and good online shopping tactics can reduce costs associated with your beloved equine, but the equipment and daily supplies to take care and to ride a horse are always things to budget into your costs. Picking up a horse catalog is the easiest way to estimate your tack and equipment costs. Big purchases such as saddles, saddle pads, bridles, girths, cooler sheets, boots, tack trunk, shampoo and grain buckets, a new helmet and a complete set of grooming and first aid supplies will cost you an initial investment of normally over $1000. Replacing or repairing things that wear out such as girths or blankets become annual costs. 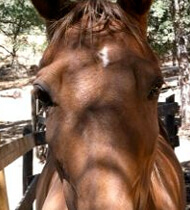 Monthly costs may include fly spray, a fly mask in the summer and your horse’s favorite treats. Each month you may want to calculate $50 for “the little things” or tuck the unspent money away for a bigger investment and or emergency fund. Included in the list below are all secondary costs beyond the basics of horse ownership. Today’s market is flooded with must-have products, bombproof insurance policies, god-like clinicians and boosting/magical supplements that might not be completely mandatory to have for your four-footed friend but in any case, a bonus. 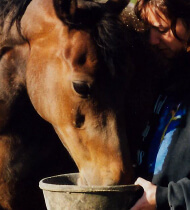 Before you throw in the towel, or horseshoes in this case, on your horse-owning dreams as a result of the start-up and annual costs, think about how rewarding and refreshing it would be to have a horse of your own. The initial costs may be intimidating, the long term costs constricting, but the final conclusion is that you will always run into costs in order to do the things you love to do. Don’t let the costs of owning a horse turn you away from the equine world. Rather calculate and monitor your budget. Know what you can and cannot afford, your limits and equally important, remember to set aside time to enjoy your new horse! Gwen may have gotten a job! This information is wonderful and appreciated! Thank You for allowing access to this website. 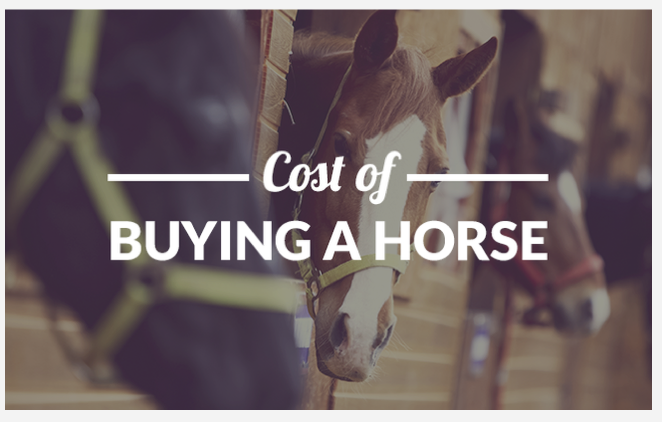 I always tell people…the cheapest thing about owning a horse is buying it!